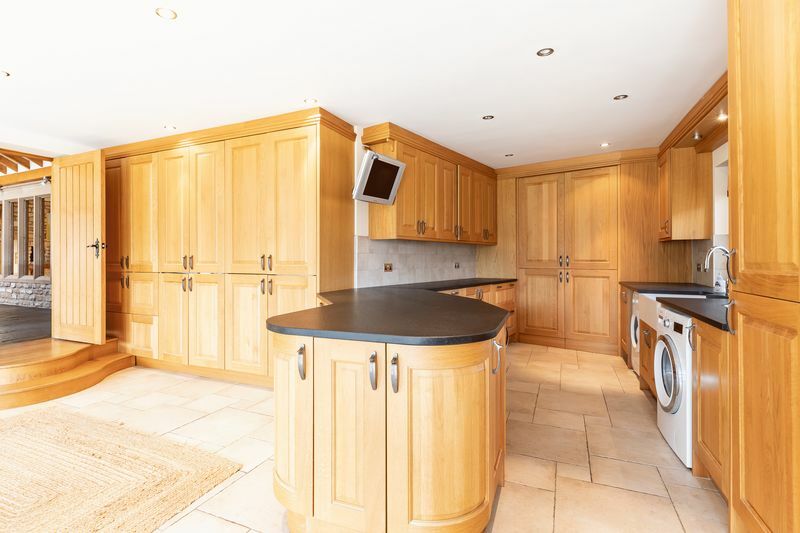 Exceptionally private, detached family home, measuring approx. 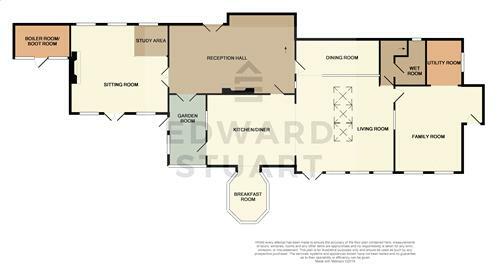 8000 Sq.ft. 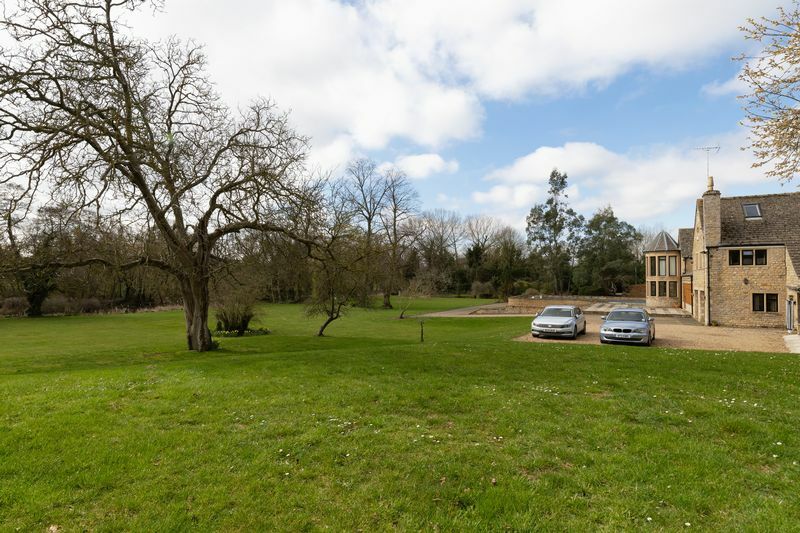 with stunning views over fields and the gardens that are in excess of 2 acres (sts) and it's own oxbow lake. 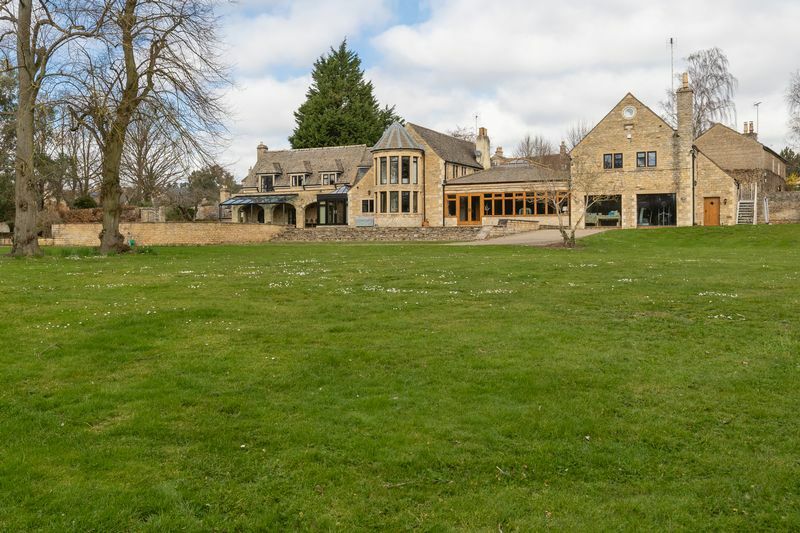 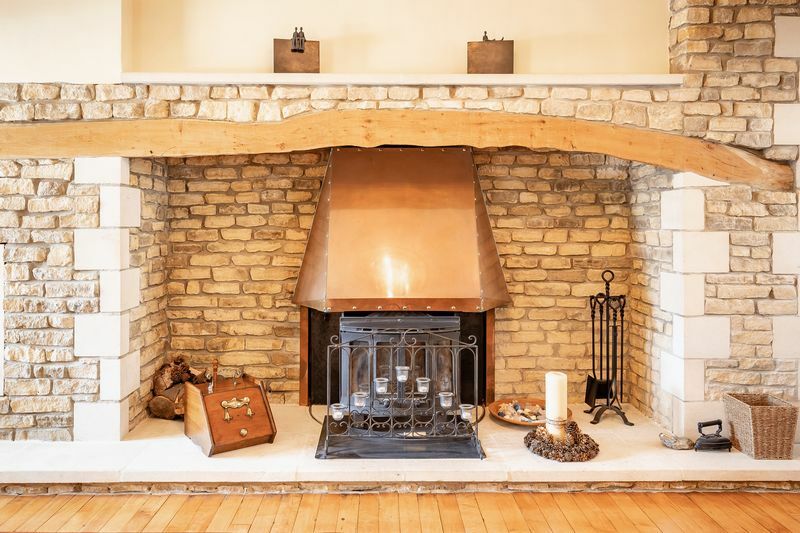 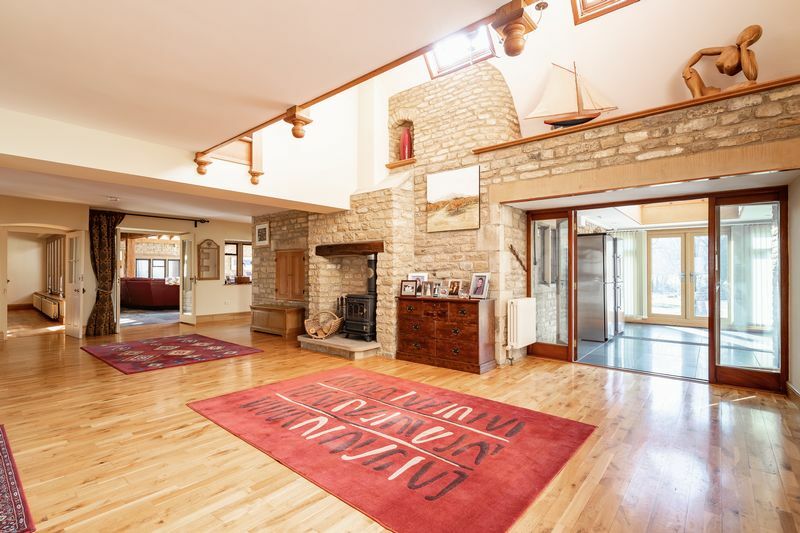 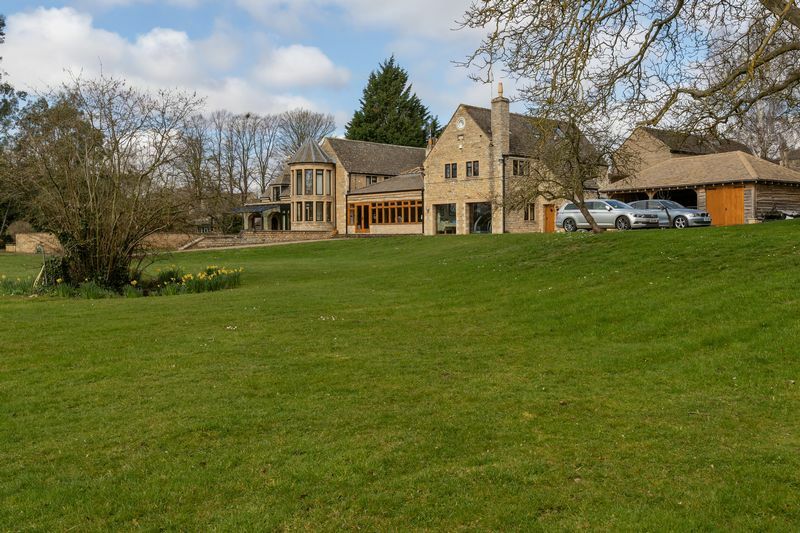 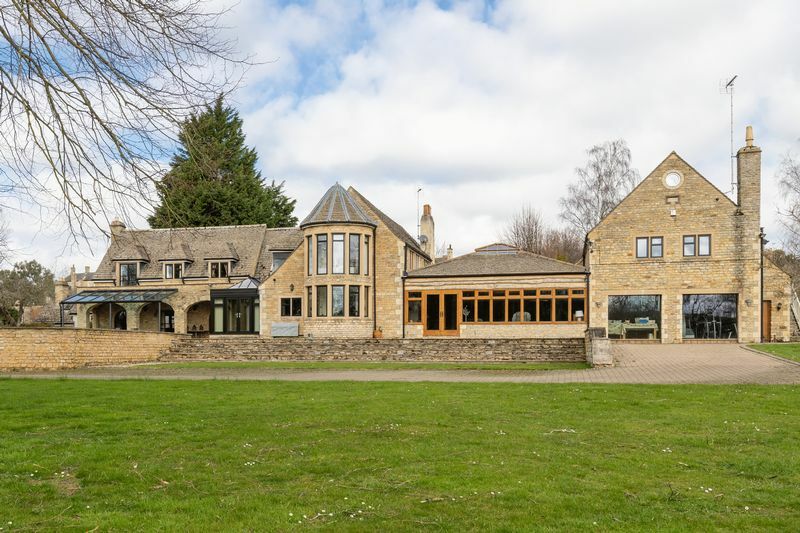 Edward Stuart are excited to offer for sale this stunning character property in Kings Cliffe. 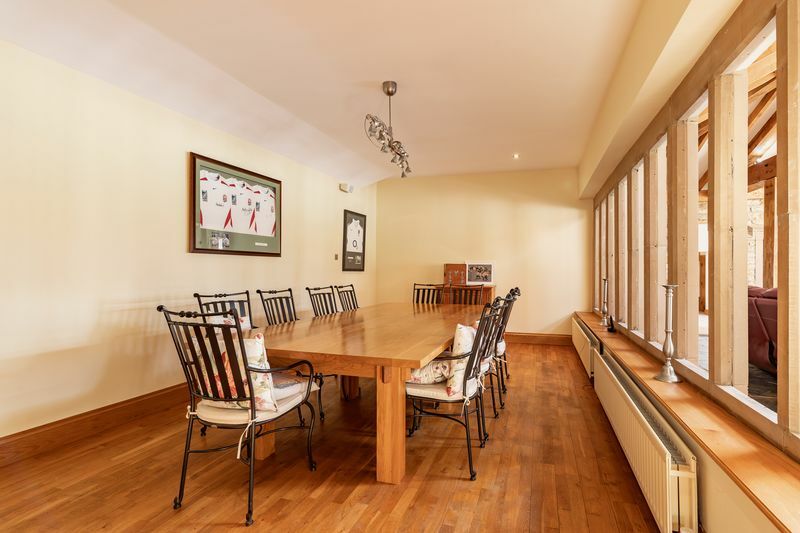 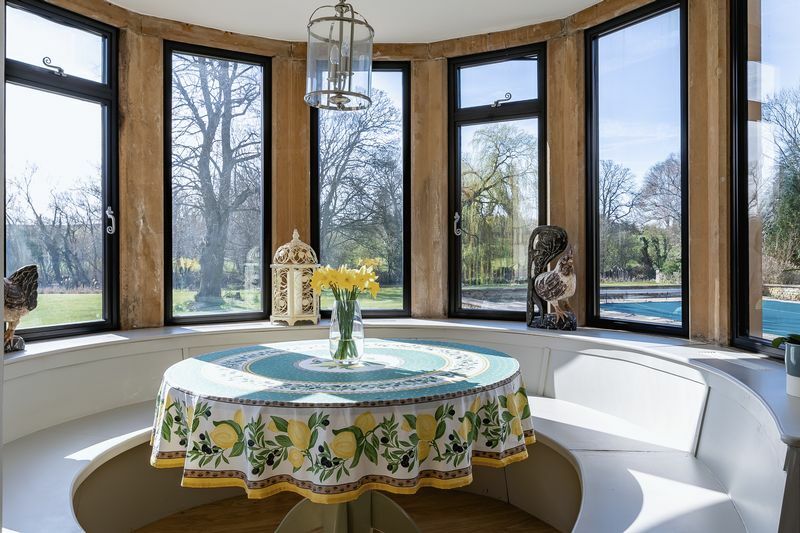 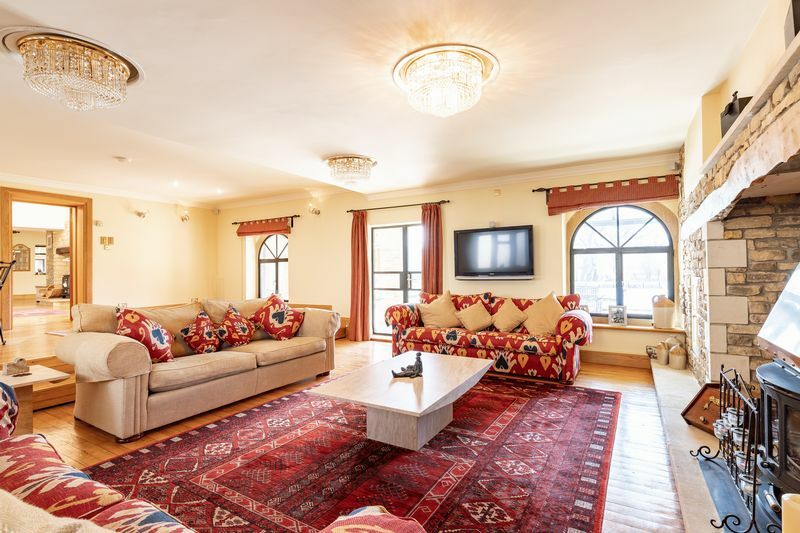 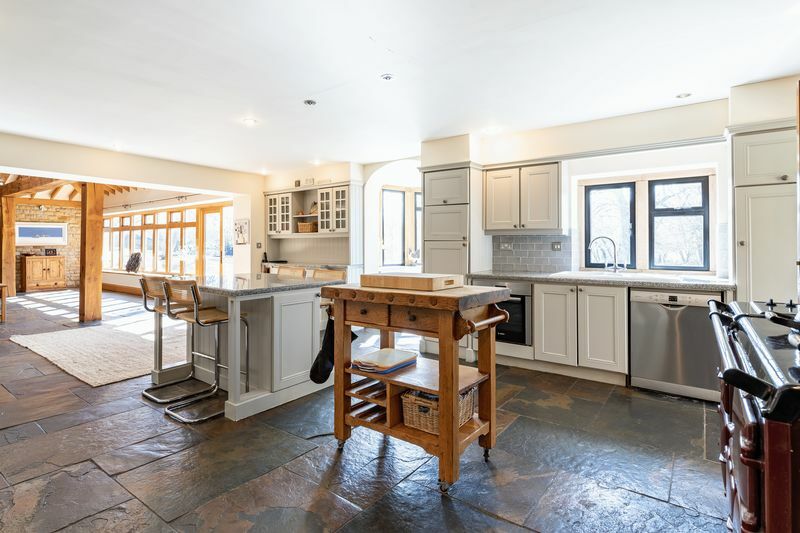 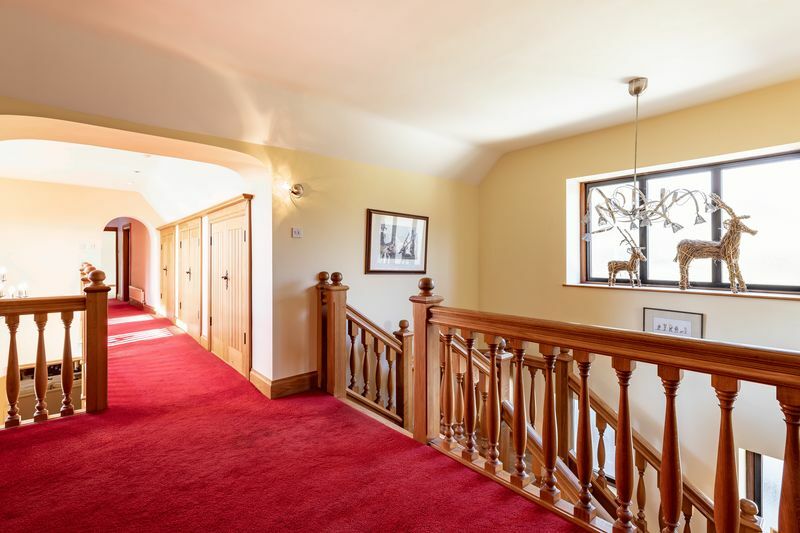 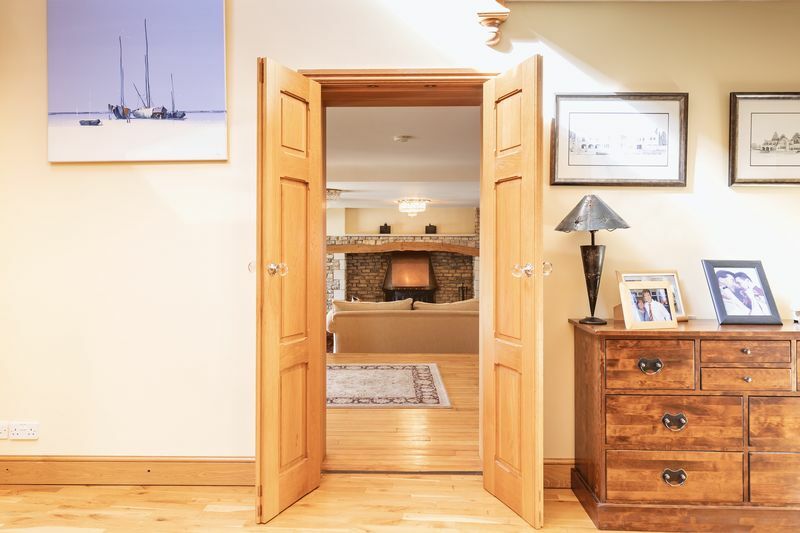 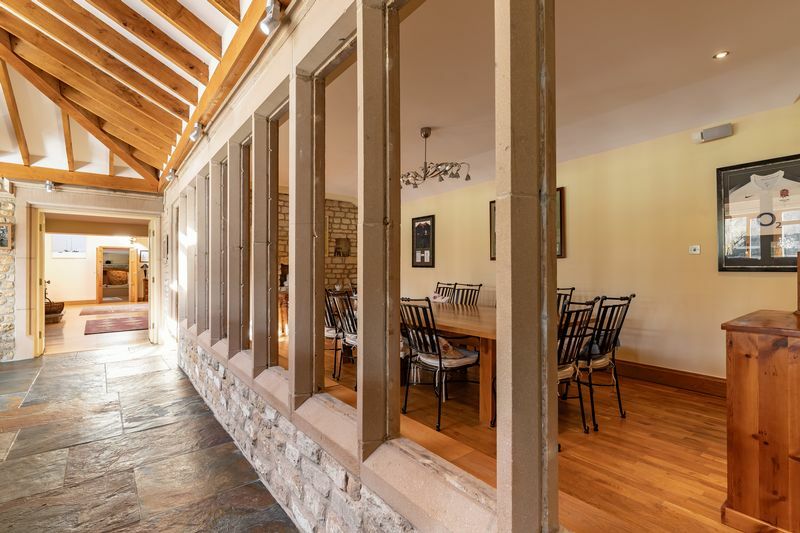 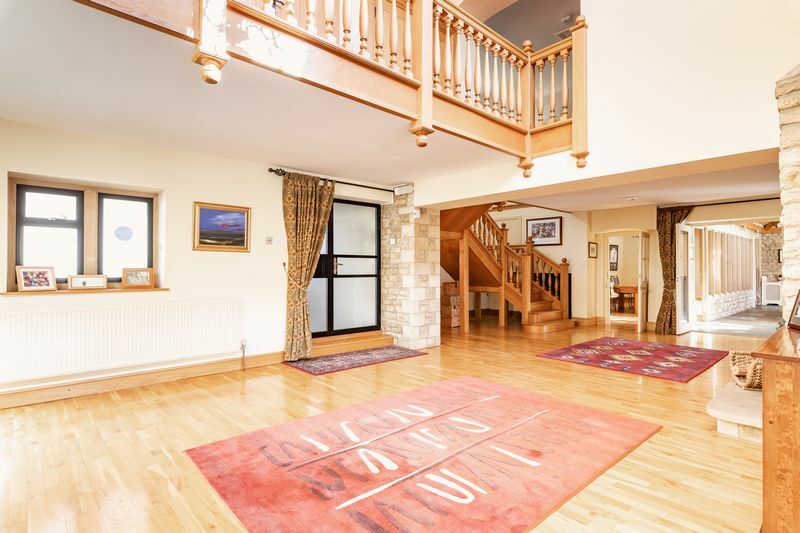 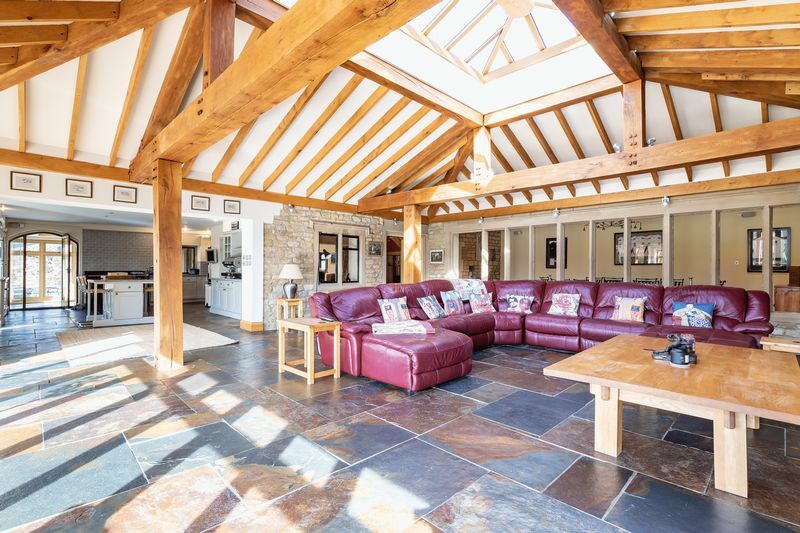 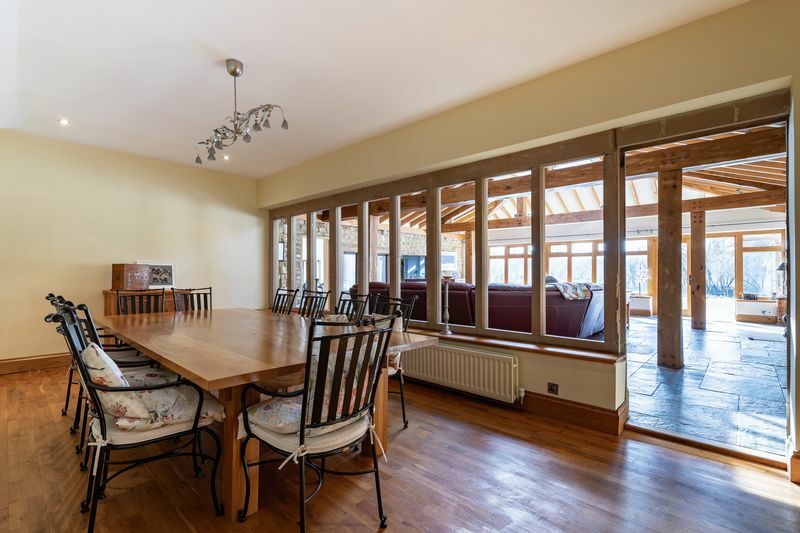 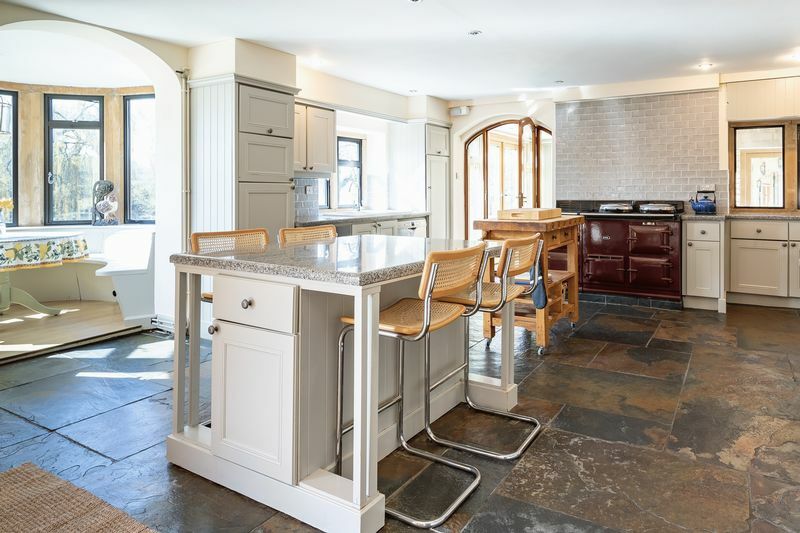 The property features a large atrium overlooked by a galleried landing, kitchen/diner with granite work-surfaces, feature breakfast room, living room, formal dining room, family room and sitting room. 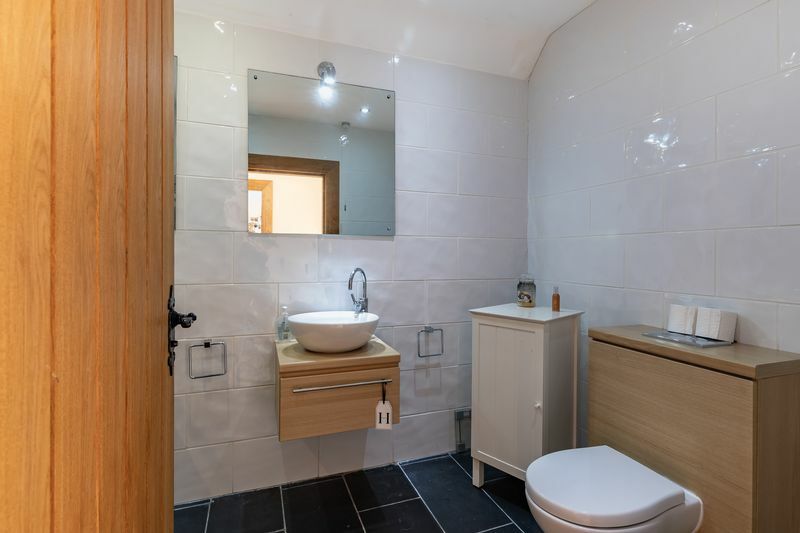 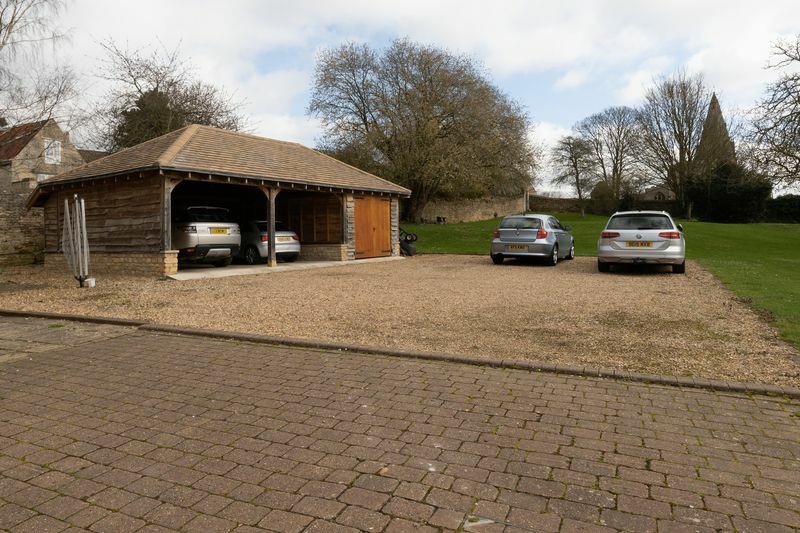 On the ground floor there is also a family with floor to ceiling windows overlooking the grounds, utility room, wet room and garden room with doors leading to the patio area and heated swimming pool. 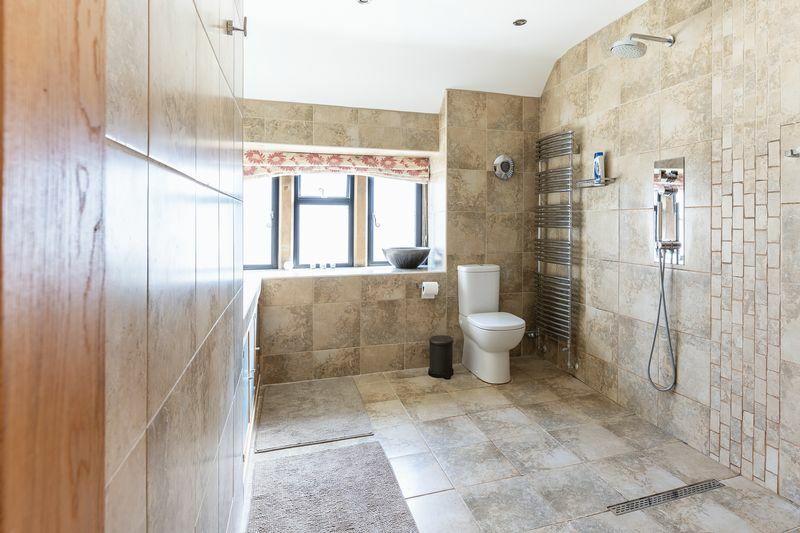 Many of the rooms on the ground floor have underfloor heating. 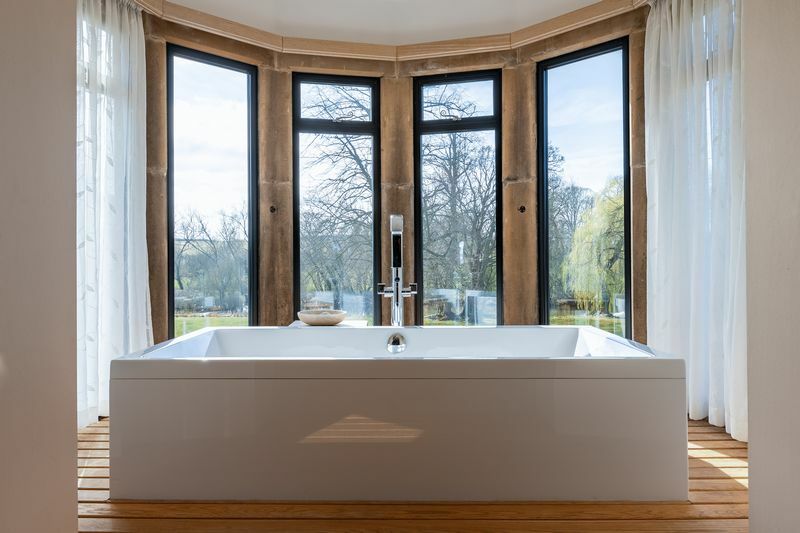 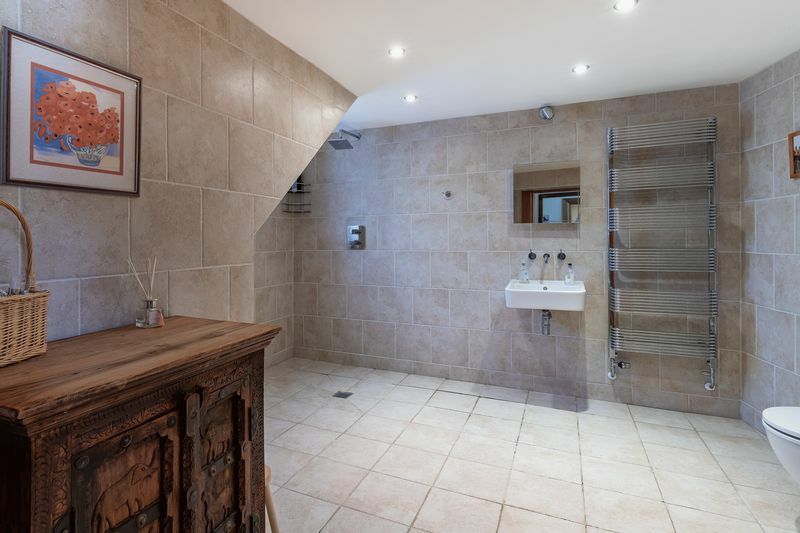 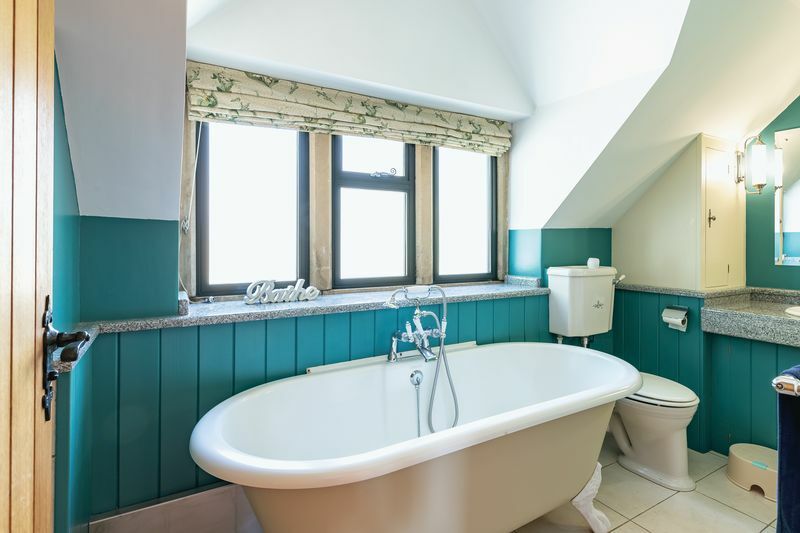 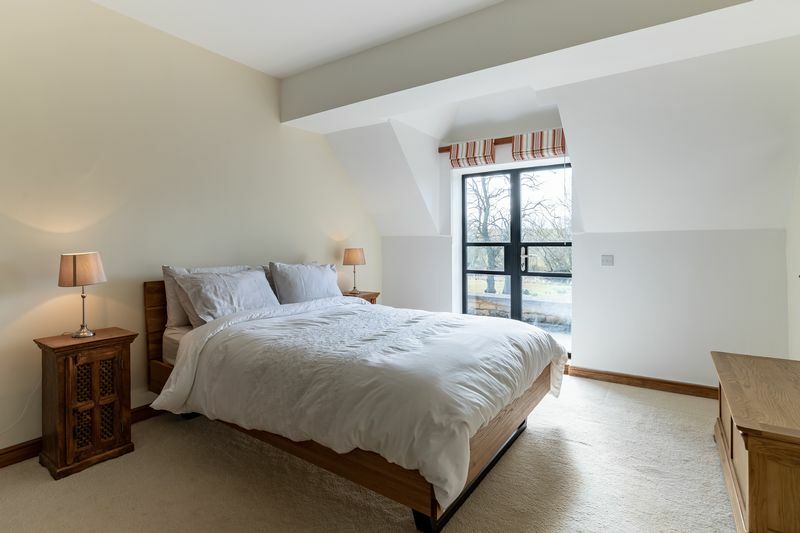 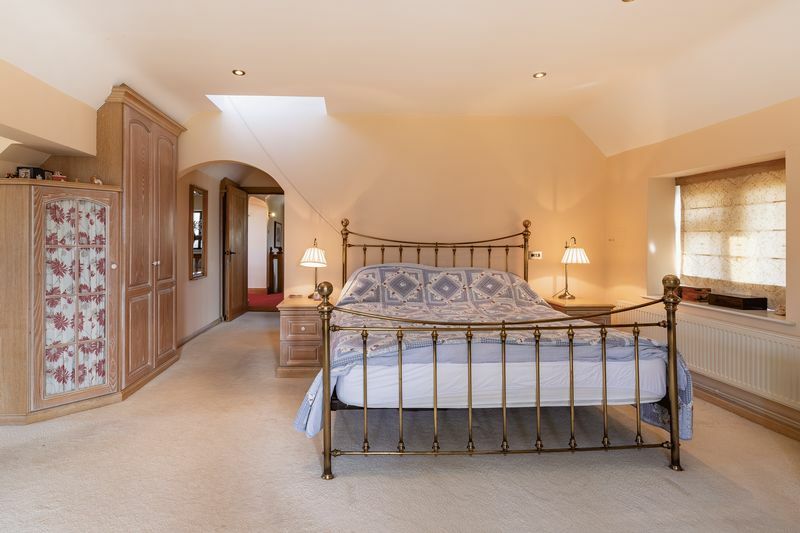 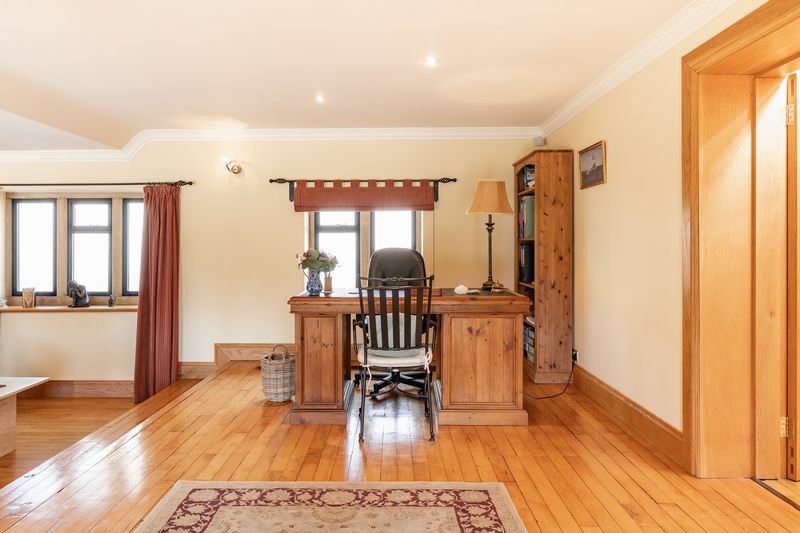 The first floor of the main house boasts four double bedrooms with the master bedroom having a wet room and feature bath with beautiful panoramic views over the grounds and fields beyond. 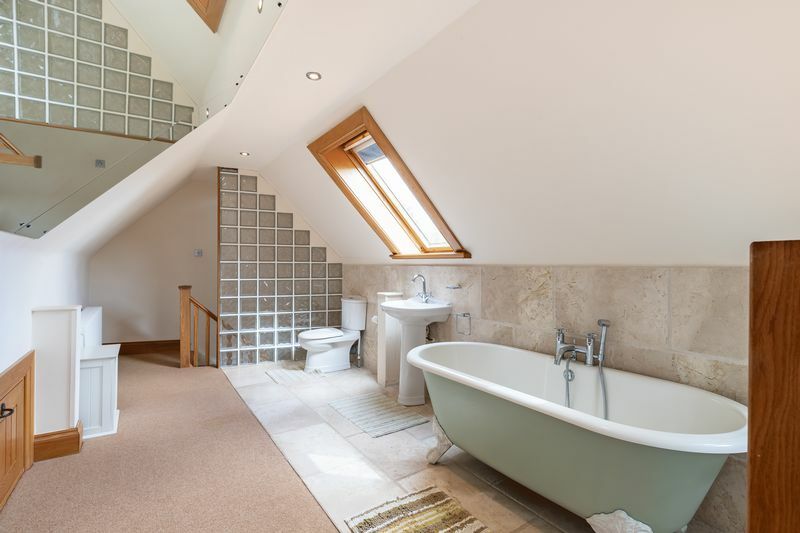 Off the landing there is the four piece family bathroom and the second bedroom has double doors leading to the balcony. 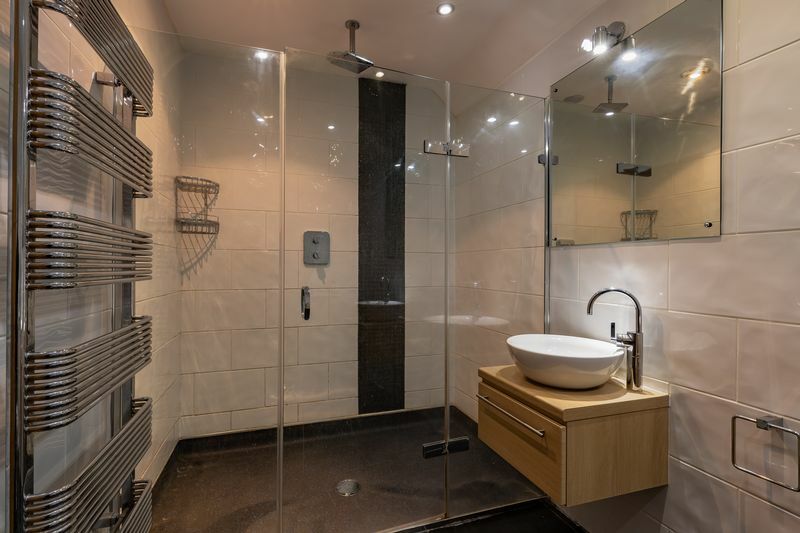 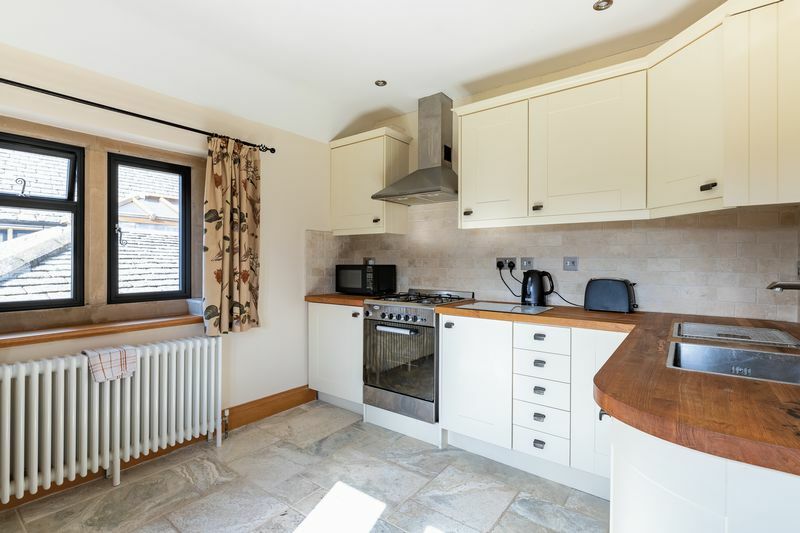 The annex comprises of three double bedrooms with en-suite to master, wet room and open plan lounge/diner/kitchen. 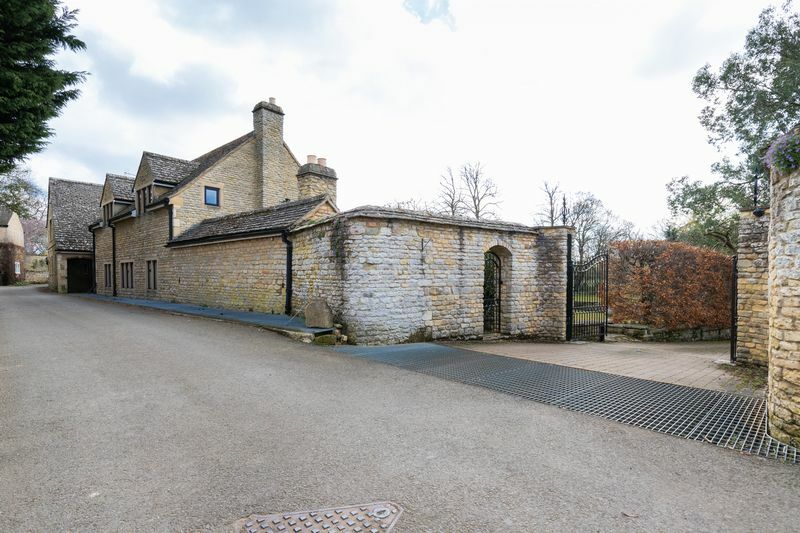 Within the grounds there is also a pump house for the swimming pool, as well as many other outbuildings currently used as a wine distillery, gym and storage facilities. 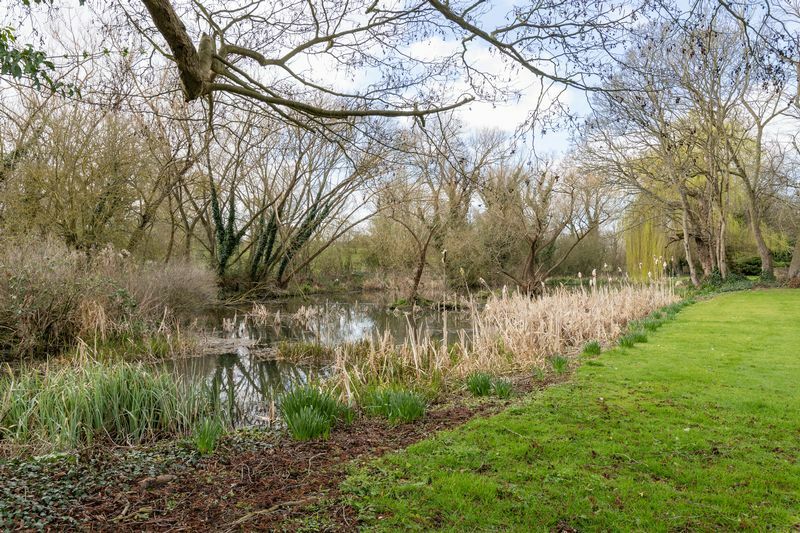 On the grounds, there is paddock land, an oxbow lake complete with it's own island, as well as a wealth of other additional features. 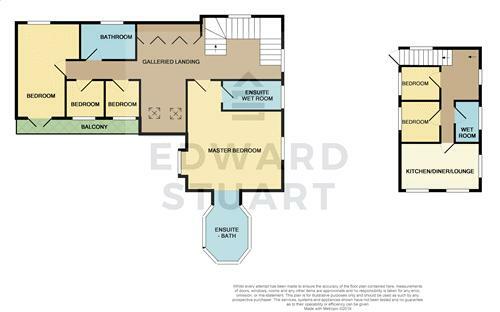 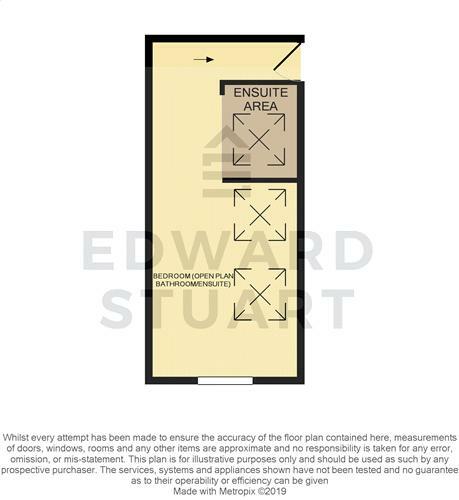 For the finer details please contact Edward Stuart Estate Agents on 01733 942000.